There was so much going on at the a9 launch, we almost didn’t get to the also released new G Master lens, the FE 100-400 F4.5-5.6 GM OSS. The feature list of the lens includes a double linear motor and Direct Drive Super Sonic wave Motor for precise and quiet operation for still and video shooting. Like the other G Masters, designed for mirrorless cameras, the 100-400 has edge-to-edge sharpness and beautifully rendered bokeh. Because the 100-400 was attached to an a9, the images we took with it are embargoed until Thursday of next week, but you can expect that’ll amaze like the ones we took with the 70-200, seen in a gif below. 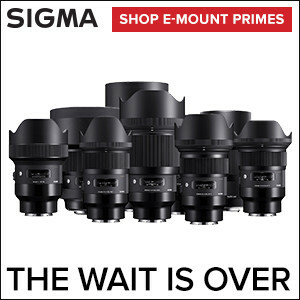 Expect the latest full-frame lens to maintain the high standard of resolution that is shared among all of Sony’s flagship line of G Master series, while also offering incredibly fast, precise AF capabilities, a lightweight, portable design and a variety of professional functions and customizability. Just in my walking around NYC shots, I could tell the 100-400 is an exceptionally powerful photographic tool for a variety of enthusiast and professional shooters; particularly, sport and wildlife shooters. The complex design features 22 lens elements configured in 16 different groups, including one Super ED (Extra-low Dispersion) and two ED glass elements, all of which are working together to minimize chromatic aberration and ensure the ultimate resolution is captured. The lens also has Sony’s original Nano AR coating, which reduces unwanted reflections. 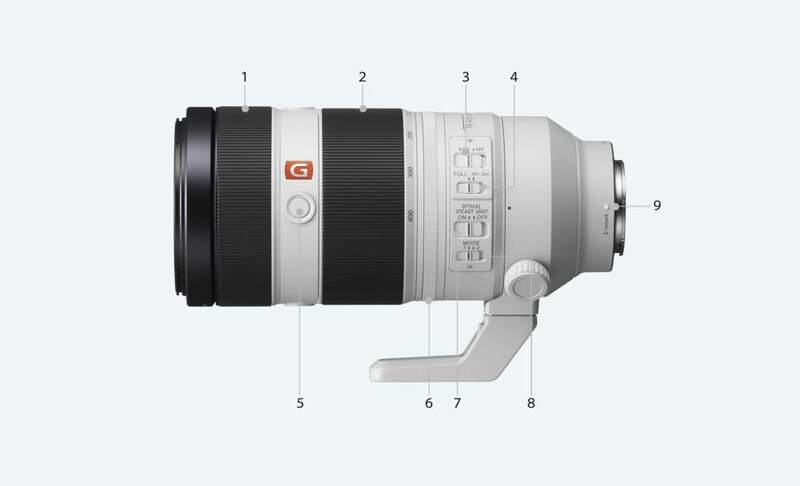 In keeping with the lighter purpose of a mirrorless system, the FE 100-400mm GM weighs in at a mere 49.3 ounces (1,395 grams), making it among the lightest in its class. Functionally, the lens has a zoom torque adjustment ring—a first for Sony— allowing the user to adjust the level of torque in the ring to zoom faster or slower depending on their shooting style. There is also a programmable focus hold button and built-in optical image stabilization. The lens is dust and moisture resistant as well and has fluorine coating on the front lens that makes it easier to remove dust or grease. 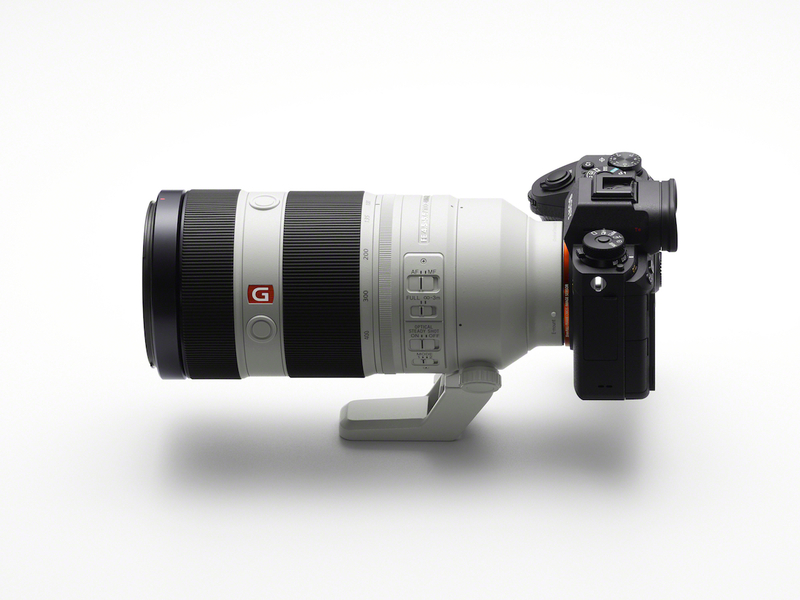 The FE 100-400mm GM Super Telephoto Zoom Lens ship in July for about $2,500 from Amazon. The a9 is available for pre-order now too and costs about $4,500.